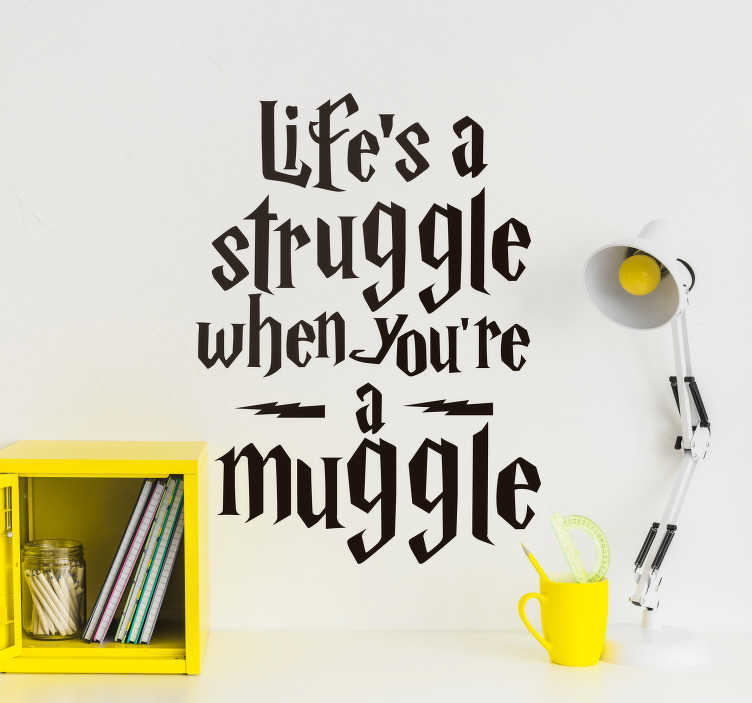 ´Life´s a struggle when you´re a muggle´. Calling all muggles! If you wish you could wave that magic wand occasionally then this wall quote sticker might just be the one for you! Perfect movie wall decor for those who love Harry Potter and wish to add something related to that - yet still unique and original - to the wall of their home!